When I first started listening to this album back in 2003, I believe that I wrote something along the lines of it being the best purely electronic album I'd had the pleasure of hearing up to that point. Of course, that statement didn't really have any validity - but recalling the effect the production of "Berlinette" had on me back then is quite astounding. Before I was versed in almost any electronic music, I somehow took a chance on this one. The bounciness of the tracks, the complacement vocals and the plethora of interesting glitches that added to the melody, rather than took away, really allowed me to immerse myself in the beats. At the time, I didn't realize there was other music that sounded similar to this, I thought that Ellen Allien was in a world her own. Now that I know she's not and that I've heard many records that have similar aesthetics to this has almost stricken itself irrelevant. The fact remains for that "Berlinette" will remain one of the most engaging and best "IDM" records for quite some time, blurring the lines between dance music and head music and occupying a place at the top of my preferences. At various points since the release of this album, I have been ready to surrender myself to its noise and consider it the very best album of the decade. Oh, how the mighty have fallen. Back in the days of AOL Instant Messenger, I think I had an profile status/info that said something like "If the insides of my body were capable of music, they would sound an awful lot like M83." How I ever got the idea of my body being able to create harsh keyboard and feedback sounds is lost on me now, but I do remember wanting to be able to literally consume this album. To open my mouth, take it in and see what it would do. It's dense, terribly dense and while that was what got me to love this album in the first place, it has sense had an opposite effect on me. I like it a lot, and I like it a lot more than their subsequent releases, but it doesn't have the emotional weight I thought it once had. Loud sounds are delayed keyboard and organ sounds still sound wonderful to me - but there needs to be a little more. 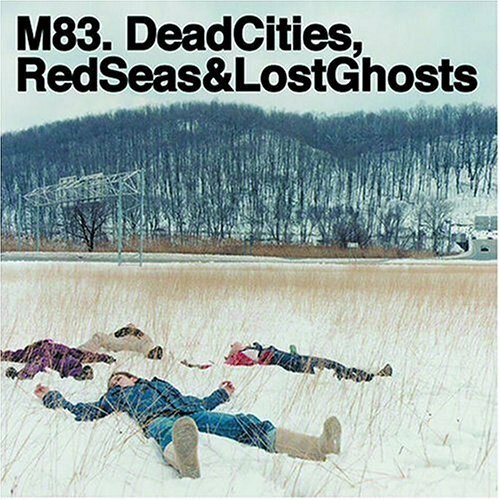 Still, for a pure sonic experience, few albums match M83's breakthrough. 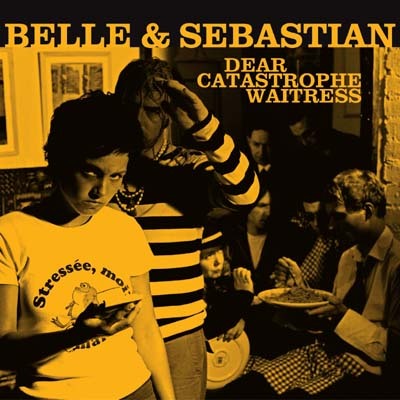 One day I'm going to have to go back and really examine the Belle & Sebastian discography. I can understand the people who obsess over "If You're Feeling Sinister" and "Tigermilk" so much to call those albums some of their favorites ever, I just don't share the sentiment. I've listened to those albums a handful of times, "The Boy With The Arab Strap" less, "Fold Your Hands..." a couple times and have never listened to "Storytelling". If not for the "Books EP" which stems from his album, I've listened to "Dear Catastrophe Waitress" more than any other Belle & Sebastian album and can honestly say that it's my favorite. Sometimes you just want to hear good pop music, stuff you can sing along to, have fun to, forget about and just enjoy. Clever, wistful, it's everything Belle & Sebastian do better than just about everybody, but bumped up a few notches (they went further with their followup) and made a little more experimental, a little louder. It honestly rocks during a few songs. Anyway, like this album a lot. 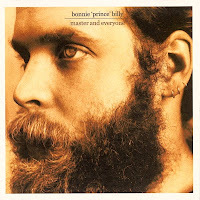 Don't love it like I once did, but it's still a great springtime album. At this point in their career, I have to consider "thickfreakness" the apex of The Black Keys version of rock n roll. Taking just guitar and drums, Dan Auerbach and Patrick Carney shred their way through fuzz-induced blues music. Dan's guitar sound on this record is one of my favorite of the entire decade (and when I saw it live way back when, it blew my mind), Patrick Carney makes the most of his position at the drums and rather than just accompanying the guitar - he battles it. The album is 11 tracks of straightforward blues rock, memorable chorus and verses, memorable riffs. The soundtrack to your summer, every summer. Few albums have harkened back to an older rock n roll sound quite as well as "thickfreakness" and while since this album has been released, the band has basically released one great album after another - this remains the most fun, the most traditional, and the most memorable. One of the best pure rock albums of the entire 00's. Remember when Jay-Z retired? "Maybe you'll love me when I fade to black!" he told us. His retirement lasted for what - a year and a half? And then he came back and became an even bigger superstar than he was now. The king of hip hop, pop, everything. 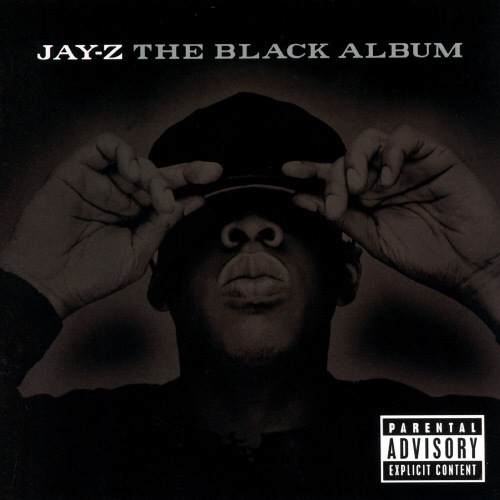 "The Black Album" would've been a great sendoff, then again "American Gangster" would've been a great comeback (we can try to forget about "Kingdom Come"). 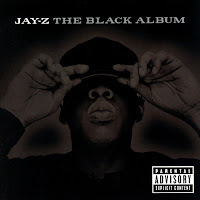 The fact about "The Black Album" is that about 2/3 of the album are among the very best hip hop of the entire decade, including two singles which have become common use phrases (even if they were jacked from other sources). "PSA" might very well be Jay's single best track (much of the credit due to Just Blaze's production of course), but the other 1/3 or whatever is just throwaway, again much of it due to the production. You decide what they are, I shouldn't need to tell you. Anyway this album is placed near the top of Jay's output, either 3rd of 4th. Solid album, solid fake send off, but not quite an all-time classic. The result of two of hip hop's best producers at the peak of their individual powers, teaming up, choosing and then rapping over each other's beats in an effort to make one of the most bass heavy, most blunted, hardest hitting and best hip hop albums of the past decade. 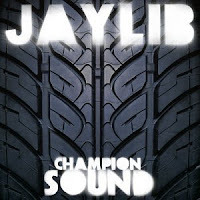 The focus here is on the beats, as would be expected, but Dilla and Madlib both give their fair share of decent verses, they just take some time to get used to. Dilla is a more traditional rapper, sounds a bit like a hype man. To the unititiated, Madlib can sound distracted, rambling one liners off his head while his attention is elsewhere. Apt description, but he can come up with lots of clever quips within his rhymes. The guest spots are ok, none are anything to write home about - but the beats are some of the best that either producer has put forth. Dilla at his most abstract (this is pre-Donuts days), Madlib beats that sample eastern music, african music, and everything else that the loop digga can get his hands on. It's a car record, as the cover indicates, one of the very best. 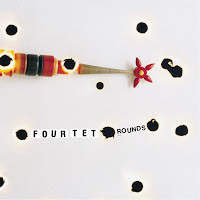 "Rounds" is one of those albums that strips away all that was required to make it: studio trickery, electronic programs, samples, the lifeless medium of the computer and somehow reveals an intimate album, organic in sound, full of life and character. Keiran Hebden's releases prior to "Rounds" were good, but failed to deliver on the promise of the cohesive sound he was searching for. 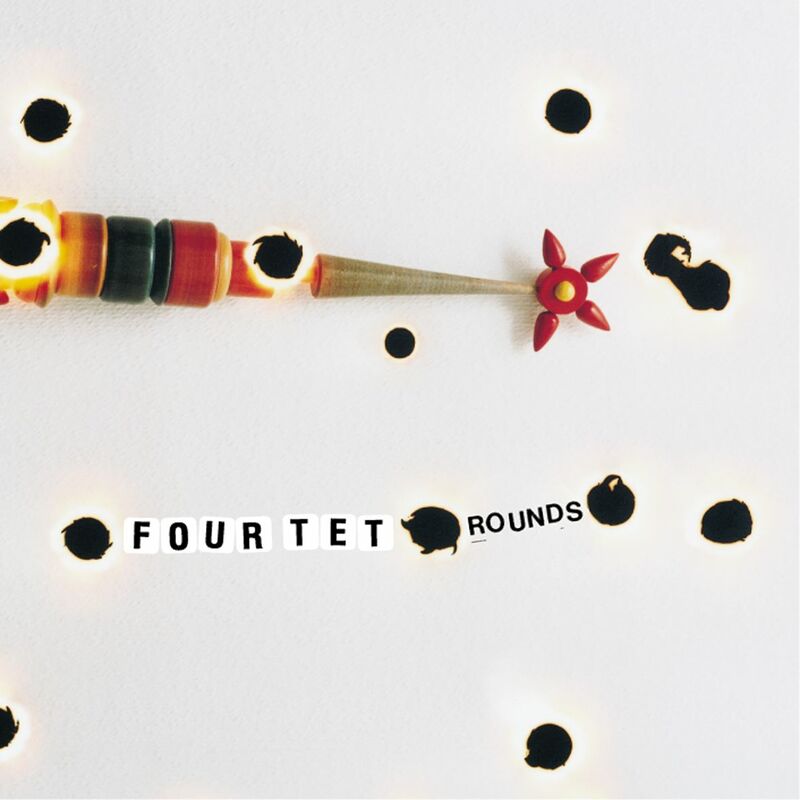 On "Rounds" Hebden manages to find that sound and the result is one of my personal favorite electronic records. The ultimate riding the subway album, cleaning the house, lounging on a weekend afternoon. It's not invigorating music, but it is not glorified wallpaper either. The tracks breathe, speak, but they reveal themselves much in the way the classic Satie tracks do. Stark minimalism, but never boring. 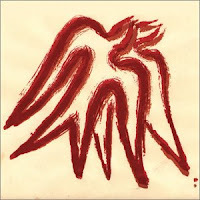 It is an album to feel comfortable listening to, one that should cure any alienation out of a room. It is an album to grow with and album to grow on you. Over the past half decade, I've listened to this album dozens of times and yet, I've never enjoyed it more than I do now. The primary reason that "Lambent Material" is the most listened to album in my itunes is for its sleep inducing quality. 5 tracks, 4 of a certain delicacy and beauty that only Matthew Robert Cooper and one long, fairly harsh drone. For years now, this Eluvium release has been my go-to ambient album. Study music, sleep music, early morning waking up music. Eluvium succeeds as an ambient artist (and no I don't like the new stuff he is doing) because of the different emotions that his compositions can conjure up. His work most readily identifies with the late night comedown - but it works in so many other ways too. I can listen to "Under The Water It Glowed" on infinite loop and consider it my heartbeat, for sure one of my favorite ambient compositions. This collection of work is a masterpiece and while "Zerthis..." definitely breaks up the gentle mood with its long and harsh sound, there is still beauty found within it. It is my belief that Eluvium succeeds as an effective ambient musician because he is a true musician. He's not just twiddling knobs and distorting guitar and piano, he has a true vision and know how of composition and how to structure a piece of music. Striking and beautiful, "Lambent Material" will go down as one of my very favorite ambient recordings. For an artist I feel can basically do no wrong, it means something for me to claim a particular work as a favorite. 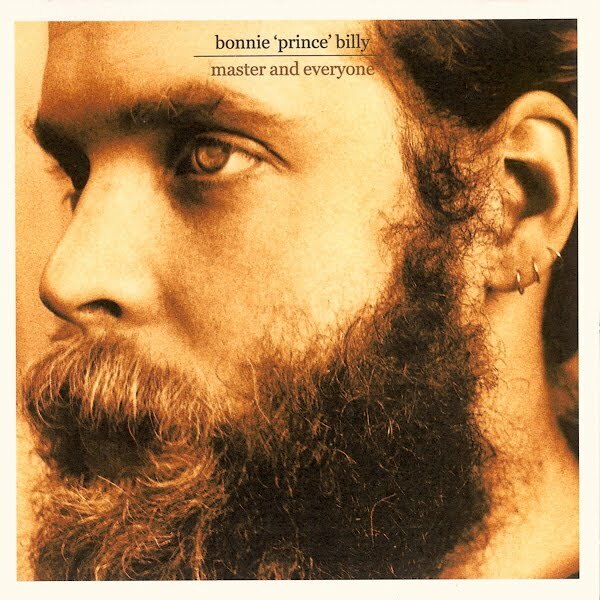 For Will Oldham aka Bonnie "Prince" Billy aka the artist I'm most likely to identify simply as "the best" - choosing a favorite is quite easy: "Master and Everyone", his quiet, stark and expertly produced release from 2003. This was the first album I ever listened to, after reading an interview and profile on him in some magazine (I want to say it was Paste - but it wasn't). The article talked about the emotional context of many of his songs, about the success of his 1999 release "I See A Darkness" and the part that really got me was the talka bout production for "Master and Everyone" where Will talked about how, while the album has a very minimal sound - often just him and guitar, the way that it is recorded is such that microphones are picking up everything around the room. Listen closely and you might hear his foot gently tapping along, empty airspace adding ambience and weight to the songs. To me, this is as close to a perfect folk record as one can get. Placing this record as my second favorite record of 2003 is a difficult task, as the top 2 records of this year are likely my very favorite of the entire decade of their release. "Master And Everyone" is an underappreciated masterpiece, a dark, haunting but still lovely record. Losing 3/4 of The Exploding Hearts in that tragic car crash in 2004 is one of the most disheartening music stories of its era. Losing a band that had released one album to their name and had yet to gain the recognition they were sure to receive. 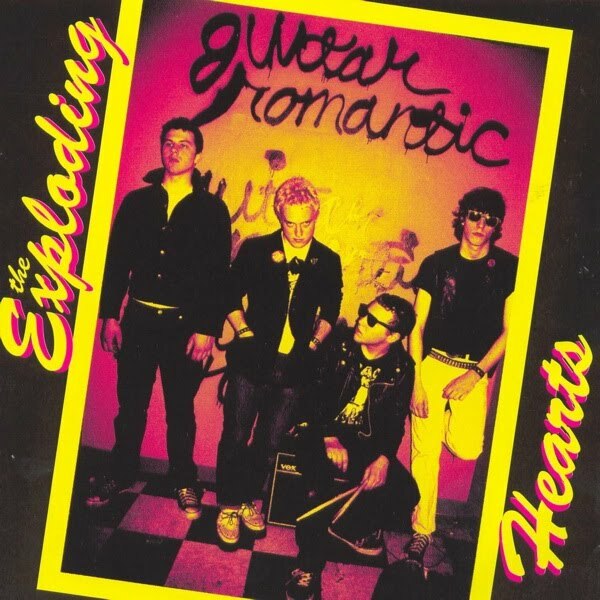 The fact that they still don't have that recognition is baffling because "Guitar Romantic" - the only true studio release from this young Portland band is not only the best record of 2003, it is likely the best record of the entire 00's, as well as one of the best pure power pop/punk records ever released. I'll say it. The Exploding Hearts were able to combine the sound of The Clash, The Buzzcocks, Cheap Trick and all the other great pop-based punk bands of the late 70s and then harken back to singalong choruses of the 50s and still keep their sound modern enough to be unmistakably a 00's release. One of the all-time best records to sing along to, to party to, to drive to. There are few records in my collection that are as much fun as "Guitar Romantic" in all its thrashing noise, immature lyricism and incessant beat. A perfect record. not sure what the guy above me said. anyways its nice to see the 2003 list, and eluvium is the best.